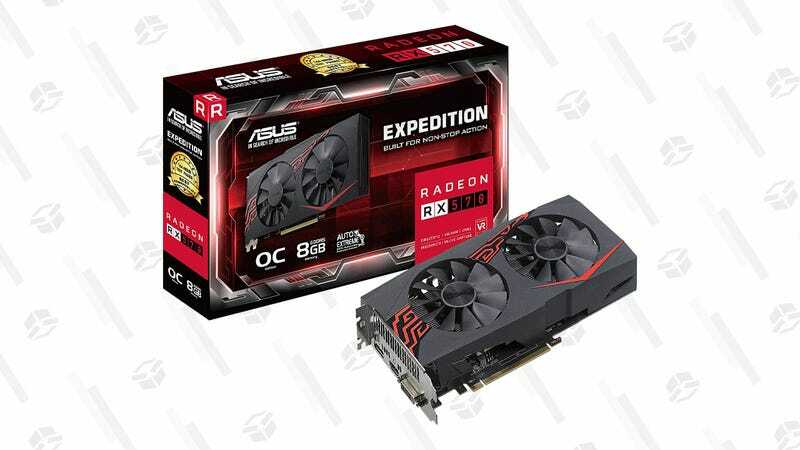 If you’re thinking about upgrading your gaming rig, but don’t want to spend too much cash, you should consider this ASUS Expedition Radeon RX 570 8GB graphics card. This mid-tier graphics card may not be the latest-and-greatest unit out there, but it can tackle most mainstream gaming with ease. This is ostensibly the AMD equivalent of a GeForce GTX 1060, so it can hang with the best of them. And if you want to pick up an SSD, here’s a couple of good ones.